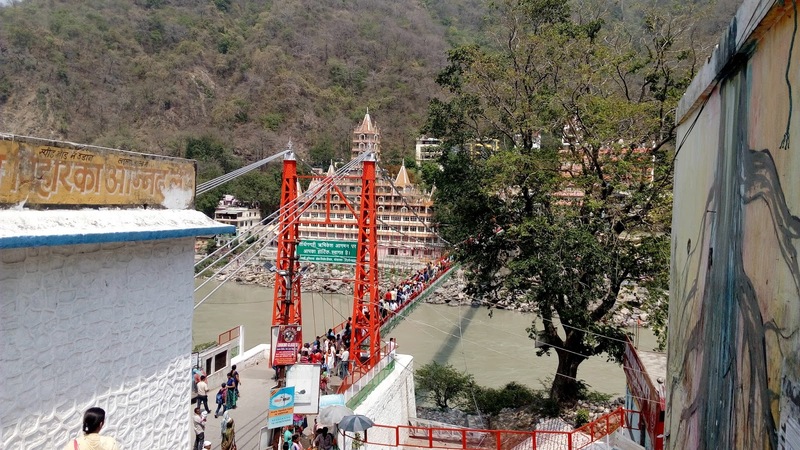 A Grand centre of piligrims, tourists and travellers in Rishikesh , situated just 24 K.m off from Haridwar to its north direction, of course , on the banks of the Ganga River. 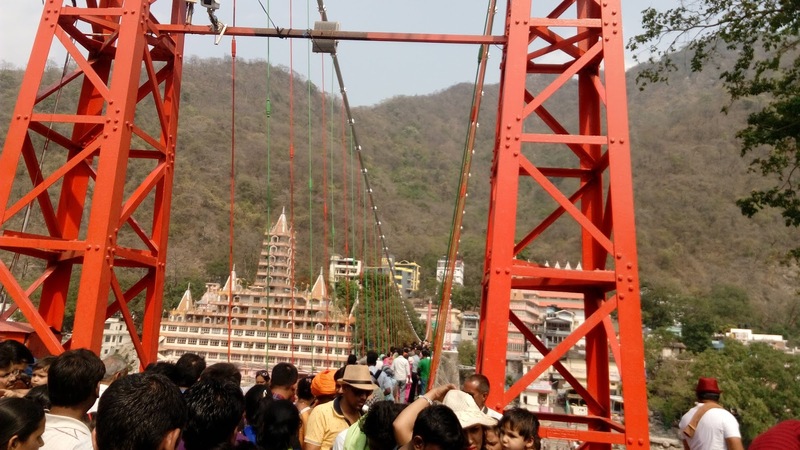 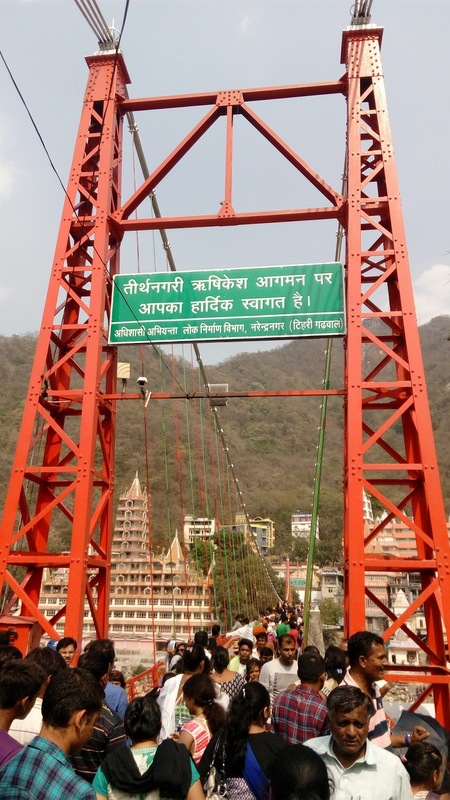 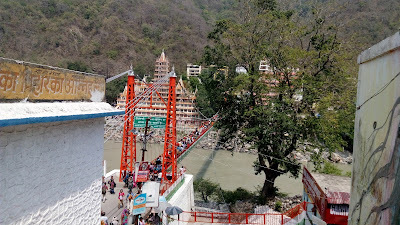 This is a residental Headquarter of Saints and Sages.There are many religious places in Rishikesh Like Laxman Jhula,Ram Jhula,Pushkar Temple,Raghunath Temple,Shatrughan Temple and Rishi Kund.Among them Here is Information about Laxman Jhula in Rishikesh Uttarakhand. 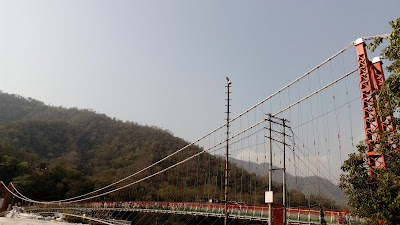 The artistic Laxman Jhula Bridge is wonderfully hanging across the Ganga River which is 3 Km. 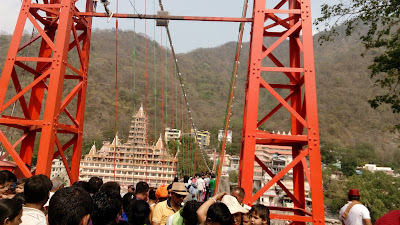 off from Rishikesh.This is a nerrow hanging bridge on which only pedestrians mules and ponies are allowed to cross the bridge .It is said that at this place Shri Laxman Performed Tapa.The Laxman Temple was Built in this Memory.There was a hanging jute rope 284 Feet bridge (without Pillar) till 1889.This was Rebuilt about 450 feet long and is situated at a height of 70 feet from the holy Ganga river with iron ropes.The most artistic Laxman Jhula Bridge is wonderfully hanging across the holy river Ganga. 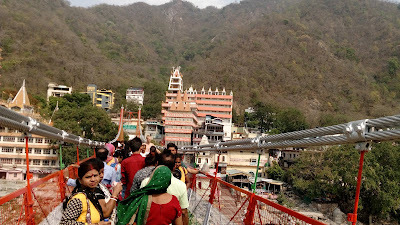 On the side of this famous bridge there is well known temple of Shri Raghunathji ,i.e. 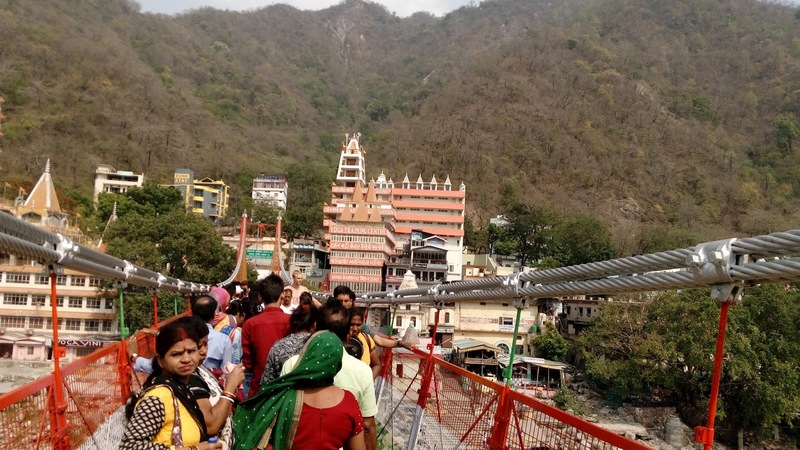 Shri Ram who is said to have visited thus beautiful place.Newly constructed thirteen storis temple is a main attraction in Laxman Jhula in which Large number of statues of Gods and Goddess are available on every story. 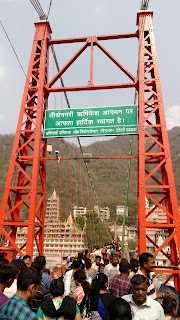 The artistic construction of this noteworthy and praise worthy hanging bridgeis the commendable works of expert engineers who can never be forgotten so long as this bridge remains in the world.This Laxman Jhula is main way for the people going up in the hills and for the people going to Gita Bhavan and Swarg Ashram by turning to the right.Laxman Temple is also situated near Laxman Jhula. 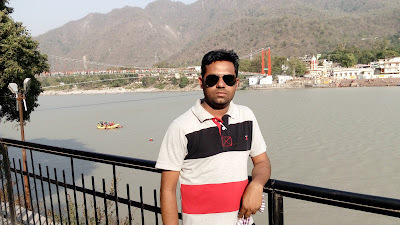 By Air: The Nearest Airport is Jolly Grant Airport,Dehradun(22 Km). By Rail: The Nearest Railway station is Rishikesh station(4 Km). 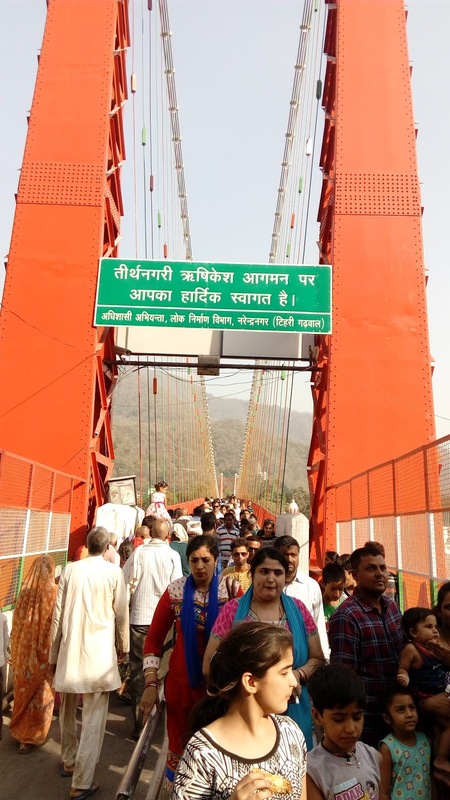 By Road: There are many public and Private vehicles available to reach Laxman Jhula Rishikesh.There are easy reach from Haridwar to Rishikesh.